Texas Game Wardens appreciate your support! Thanks to the generosity of hundreds of Texans, the Gear Up for Game Wardens effort has raised nearly $700,000 since the program launched in 2017, providing funds for much-needed specialty gear. Thanks to you, game wardens across the state now have access to specialty equipment above their standard issue gear, which will help them maintain safety and ensure the highest level of service for the people of Texas. You can help the game wardens in your region who protect the land, waters and wildlife of Texas. One of the saddest duties that Texas Game Wardens perform is recovering drowning victims. In the heat of the summer or the dead of winter, Texas Game Warden Dive Team members plumb the murky depths of Texas lakes and rivers to recover these victims. The dive team is also called upon to gather evidence in boating accidents or underwater crime scenes. This work is most safely performed with state-of-the-art dry suits. “The suits we’ve used in the past badly need to be replaced,” said Capt. Clint Brown, who leads the Texas Game Warden Dive Team. “Some of the older suits are even leaking. These new suits are lighter-weight, yet better insulated and they also do a better job of protecting our team from potential bio-hazards in the water. We are very grateful to Texas citizens and organizations that are supporting Gear Up for Game Wardens." Thanks to the generosity of many, Gear Up for Game Wardens has been able to purchase seven dry suits for the Dive Team at $1,440 each, and they only need two more! You can help provide these critical tools to Texas Game Wardens. Locally-driven leadership across the state is making a difference for Texas Game Wardens in their regions. Gear Up for Game Wardens is powered by citizens across Texas who care about Texas Game Wardens. Leaders like Mac Abney who serve on the Gear Up for Game Wardens Leadership Council. Abney co-chairs Region III in far East Texas. Abney also serves on the board of the Sabine River Authority and is well aware of the service Texas Game Wardens provide to the people of Texas. 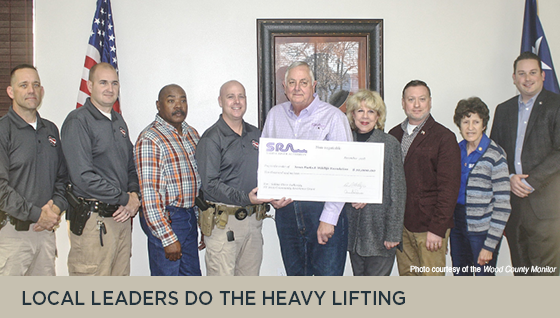 Earlier this year, the Sabine River Authority presented a $10,000 grant to Texas Parks and Wildlife Foundation to support the Gear Up for Game Wardens effort. "We appreciate all the ways Texas Game Wardens protect the people, places and resources in our region,” said Mac Abney. “They do things for us that we cannot do for ourselves. Having a local game warden available helps solve a lot of our problems, from illegal fishing in East Texas waters to vandalism that sometimes occurs at Sabine River Authority facilities." The grant will fund seven dry suits and three specialty face masks for use by wardens who patrol the many lakes in the region. "We have huge lakes in our region, and unfortunately accidents and drownings occur,” said Abney. 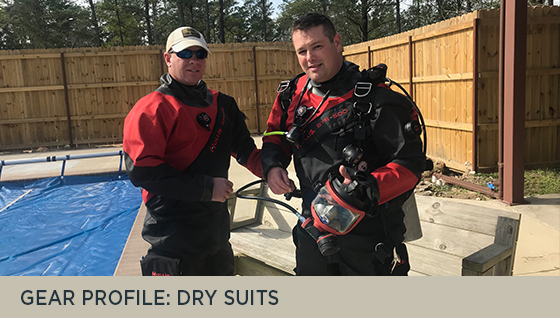 “These dry suits will help our game wardens do their job safely and will help provide closure to families who have tragically lost loved ones." 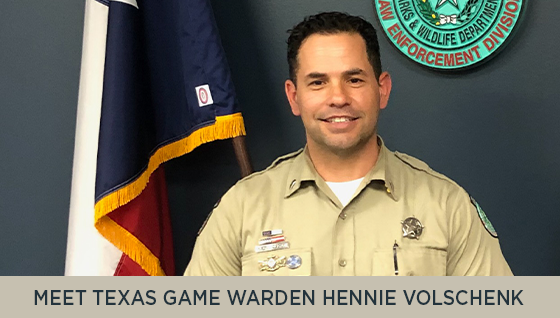 Hendrik “Hennie” Volschenk may well be the Texas Game Warden whose hometown is the furthest from the Lone Star State. Born in South Africa, Volschenk’s love of nature was instilled in him by his parents. He began his career as an educator, teaching biology and other science courses. After earning a conservation degree from Cape Peninsula University of Technology in South Africa, he worked as a game ranger for the South African National Parks Board, where he enforced anti-poaching laws, among other duties. His travels brought him to the United States for a visit, including a memorable trip through Texas in 1998. He moved to the United States in 1999, and his interest in law enforcement led to a position with the Springfield Police Department in Missouri. But he missed the connection to the environment. When he learned that Texas was recruiting game wardens, he knew he had to apply. Luckily for Volschenk, and for Texas, it worked out. He was accepted into the Texas Game Warden Academy and graduated in 2012. His first assignment was in Harris County, where he served until just recently. Just last month he was promoted to Lt. Game Warden at the Texas Game Warden Training Center in Hamilton County. Along with some of his other colleagues, Volschenk is helping educate people about the role of Texas Game Wardens through “Lone Star Law,” a hugely popular Animal Planet series that airs across the countr. Volschenk and other Texas Game wardens are directly benefitting from specialty gear provided by Gear Up for Game Wardens. All-Terrain Vehicles and specialized search and rescue drones help Texas Game Wardens every day. You can support Texas Game Wardens like Hennie Volschenk. 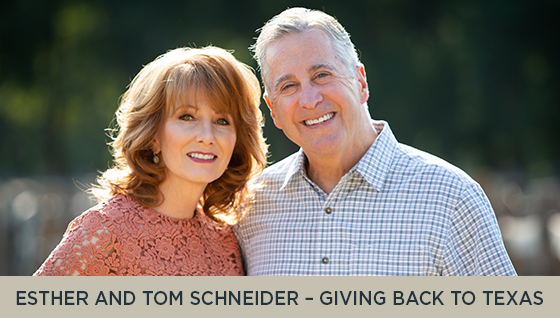 Esther and Tom Schneider are enjoying the next chapter of their lives together in Texas. “While we aren’t native Texans, we got here as soon as we could,” said Esther. “When Tom retired after more than 30 years in commercial development, we knew we wanted to end up in Texas." Tom and Esther have settled in Central Texas, near Driftwood. Their interest in law enforcement led them to the Texas Game Warden Citizen’s Academy. The intensive program provides an inside look at the duties of Texas Game Wardens. “It’s really eye-opening,” said Esther. “Not only do our game wardens enforce hunting and fishing laws, they are certified Texas peace officers and put their lives on the line every day"
Esther has taken it one step further by co-chairing the statewide Leadership Council for Gear Up for Game Wardens. “It’s been gratifying to see how much Texas citizens support the work our game wardens do,” she said. “Along with the standard issue gear provided by public funds through the Legislature, this program is providing the resources for specialty tools that they wouldn’t have access to otherwise."